Quilting Adventures: I've been a busy quilter....! I like both of your quilt projects. I need your get up and go to finish some UFO projects. Too many waiting. I should be more like you - there are SO many UFOs waiting for my attention - sigh! 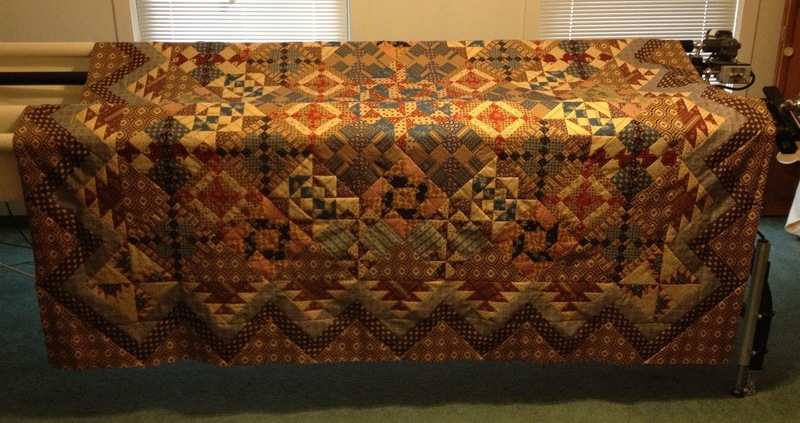 Lovely quilts - both of them. 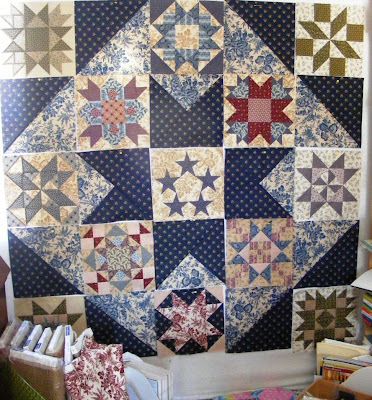 Both beautiful quilts, but I am loving the civil war medleys and the fabrics you used. I start too much and trying to finish things now, but really need to make myself a new quilt for my bed, for spring and summer. I also need to get going on my soon to be, grandson's quilt and curtains and...... lol. Ooooh, looks like you're getting a LOT done. They're both beautiful! What a gorgeous top!!! That is going to be stunning when it is finished. Your finishes are spectacular! I would have to agree, while new projects are fun, sometimes having lots of wip's is so creatively draining. Beautiful Carole! Way to go!